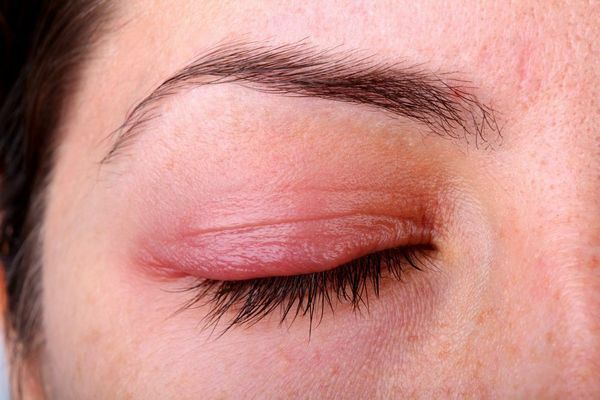 Do you often wake in the morning with eyelids that are swollen, itchy, and sore? Do your eyelashes feel clogged and sticky? If the answer to these questions is yes, you could be suffering from blepharitis. Before treatment, Dr. Adhoot will need to perform a basic eye exam to diagnose the condition. Blepharitis is a common, non-contagious ocular condition, whereby the patient experiences frequent inflammation of the eyelids. Blepharitis can affect the way your eyes look and feel. It is often a long-term problem for sufferers, who experience repeated episodes of the condition, followed by periods of reprieve with no symptoms. Unfortunately, there is no cure for the condition, but it can be managed effectively. However, if left untreated, blepharitis can lead to complications that may affect your vision. Anterior blepharitis is the name given to the condition when the inflammation affects the skin around the base of the eyelashes. Anterior blepharitis is usually caused by one of two things. Seborrhoeic dermatitis. This complaint causes the skin to become oily or flaky, blocking the Meibomian glands in the eyelid. A reaction to Staphylococcus bacteria, which is usually present but harmless on our skin. In patients with posterior blepharitis, the inflammation usually affects the Meibomian glands which are behind the base of the eyelashes. Posterior blepharitis is normally caused by issues with the Meibomian glands, such as when they become blocked by flakes of skin, debris or bacteria. Occasionally, people who suffer from the skin condition known as Rosacea, will also find they are prone to posterior blepharitis. Unsurprisingly, mixed blepharitis is a combination of both anterior and posterior types of the condition. The symptoms of blepharitis are usually worse in the morning after your eyelids have been closed for some time during sleep. Although it is possible for just one eye to be affected, most sufferers find that the condition affects both eyes, although not always equally. Blepharitis itself is not a serious condition. However, if left untreated it can begin to affect your vision. Patients who seek prompt treatment should find that their eyesight is not permanently altered. Dr. Adhoot and his professional team are able to accurately diagnose blepharitis with just a simple, painless examination. Although there is no cure, the condition can be managed effectively to control the symptoms and prevent permanent scarring of the eyelid margins. Use a warm clean compress to loosen the molecules of the oil inside the Meibomian glands, making it runnier. Using clean hands, gently massage the eyelids to push the oil out of the glands. Wiping the eyelids with clean, damp cloth to remove oil, dirt and bacteria. Depending on the extent of your condition, it may be necessary for Dr. Adhoot to prescribe eye drops or other medicated ointments. In severe cases, you may be given a course of antibiotics. Dr. Adhoot and the team at Progressive Ophthalmology provides high quality ophthalmic treatments and patient care to residents in Sunnyside, Queens and the surrounding metropolitan New York City area. To find out more about blepharitis, or to arrange a consultation with Dr. Adhoot, please make contact with us today.